One of the most righteous, message-oriented albums ever from David Axelrod – and the third in his legendary trilogy of instrumental sets for Capitol Records! 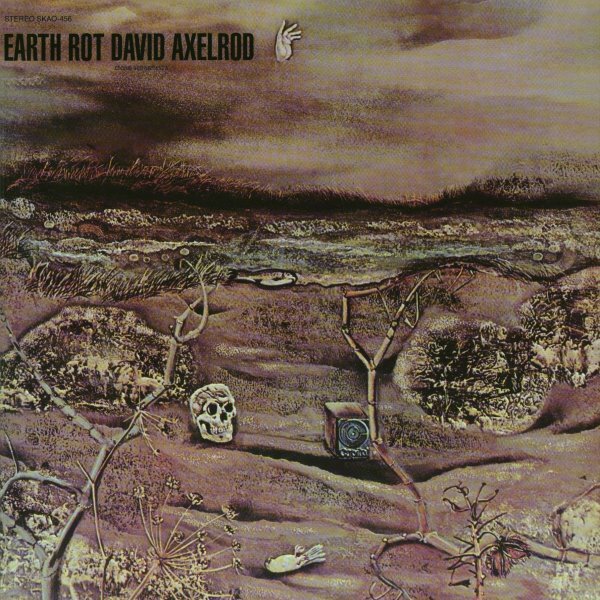 Earth Rot moves even past the modes of Songs Of Innocence and Songs Of Experience – to offer up a chilling message on the environment, circa 1970 – with beautiful arrangements in the best Axelrod tradition – performed by a large group of jazz players who mixes vibes, guitars, and off-kilter reeds – augmented by a group of singers who perform some of the lyrics of the set, most of which are adapted from the Old Testament and from Navajo legends! The record's broken into two long suites – "The Warnings" and "The Signs" – and the whole thing blends together in a spacey, other-worldly mix of heavy arrangements and trippy grooves! Amazing package – includes a full bonus LP of instrumental versions, appearing here for the first time ever – plus a huge 32 page booklet of notes and images! © 1996-2019, Dusty Groove, Inc.